Tacos, tortas and more are served at this hip eatery in Midtown’s Overton Square. : Overton Square, the city’s hippest entertainment district, is abuzz with casual eateries offering local, upscale fare. And Babalu is at the center of all the action. In addition to the large patio, there’s a massive indoor space painted in cool turquoise tones and with looped scenes from "I Love Lucy" (the inspiration for the restaurant’s name) projected onto one wall. Meanwhile, the menu offers lots of small-plate options. Guacamole gets an unexpected kick from the addition of sun-dried tomatoes, and servers make it fresh at the table. Tapas include patatas bravas, black beans and rice, and Mexican street corn. A classic Cuban sandwich, the torta Cubana, features house-smoked pork shoulder, ham, pickles, Swiss cheese and sweet mustard barbecue sauce. 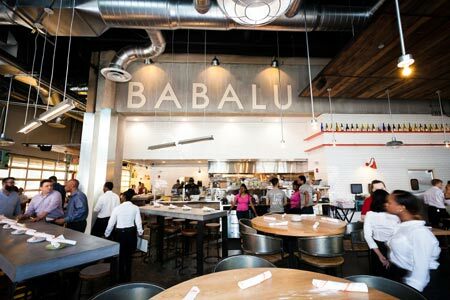 There are also burgers and salads, but Babalu is best known for its large selection of tacos with fillings ranging from flash-fried oysters to vegetables and pulled pork. The wine selection features mostly Spanish and Chilean wines. Babalu shines in the cocktail department. The TC Tea, made with sweet tea vodka, lime, mint, powdered sugar and Sprite, is like Southern-style iced tea with a boozy kick.